The man who has led Birmingham&apos;s REP theatre for almost two decades will step down from the role next year. Executive director Stuart Rogers will leave the Centenary Square theatre towards the end of 2019 but is not severing his ties altogether as he will continue to work on its production of The Snowman. His departure follows the recent announcement that artistic director Roxana Silbert will leave the theatre in June to become artistic director of Hampstead Theatre, in London. In a statement, the REP said Mr Rogers would be leaving the theatre in "a very strong position", having transformed its finances and hugely expanded the number and range of co-production partnerships. Mr Rogers initiated and oversaw a major capital redevelopment that created a third auditorium and linked the theatre to the new Library of Birmingham which opened in 2013, coinciding with The REP&apos;s 100th anniversary celebrations. More recently, he helped establish Unique Venues Birmingham which sells and delivers conferences and events across the shared theatre and library building. Mr Rogers has also ensured the continuation of The REP&apos;s production of The Snowman which celebrates its 25th anniversary this year and is currently playing its 21st consecutive season at London&apos;s Peacock Theatre. Once he leaves the role, he will continue to act as producer for The Snowman and help The REP develop opportunities to extend the life of some of its other shows. The formal process to appoint a new artistic director and executive director will begin soon. Mr Rogers said: "It has been an honour and a great joy to lead The REP for the last 17 years. "I am fortunate to have worked alongside three outstanding artistic directors in Jonathan Church, Rachel Kavanaugh and Roxana Silbert and with the most talented, generous and dedicated staff one could ever wish for. "I feel now is the right time to give someone else the chance to play a part in taking this wonderful theatre on to even greater success. 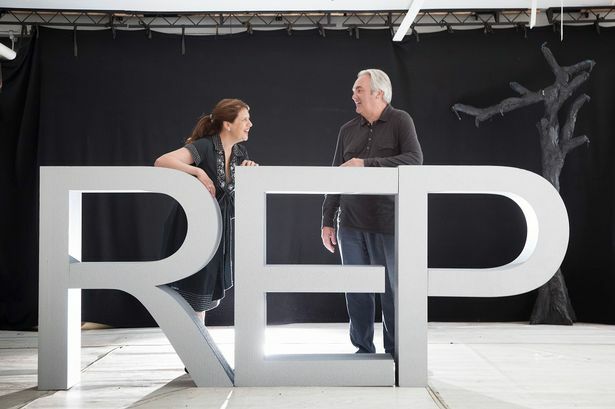 "Coinciding my resignation with Roxana&apos;s will present an exciting opportunity for the theatre and offer some very fortunate pair the same chance of a completely fresh start as I had when I joined The REP with Jonathan in 2001." Angela Maxwell, chairwoman of the board of trustees, added: "Stuart has been an inspiring leader and his tenacity and business acumen has ensured the theatre&apos;s growth and stability. "It has been a pleasure to work with both him and Roxana and we will miss them. "The board looks forward to finding outstanding successors to continue the company&apos;s legacy."